When it comes to specialized shoes and employees in specific industries, most people’s thoughts turn towards nurses, doctors and similar professions. However, there are plenty of professions in other industries that deserve quality, comfortable footwear that will protect their feet and keep them out of pain as well. One such industry is construction, which can be very dangerous; however, with the right footwear, construction workers can go about their business without having to worry about their feet. 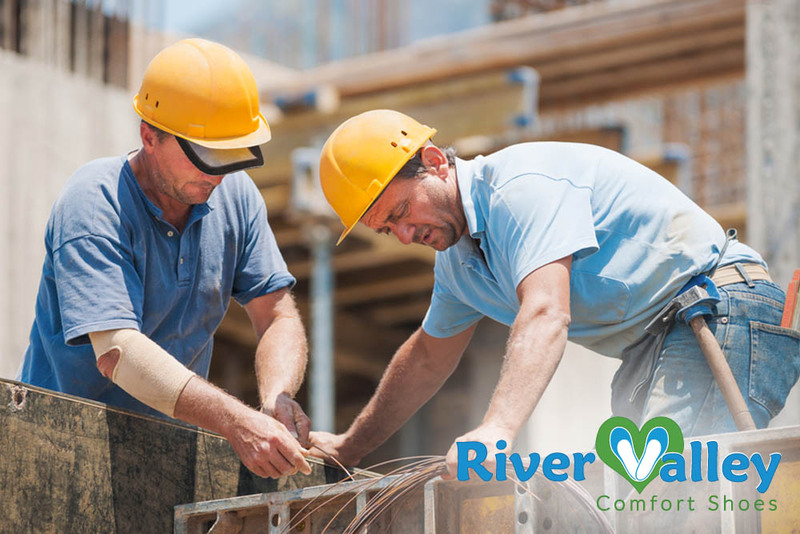 For construction workers who have been diagnosed with diabetes, it is crucial that you take proper care of your feet. In order to avoid a foot injury while at work, you need to make sure that you have a reliable pair of work shoes. These shoes need to made out of breathable suede or leather and provide you with solid support for your ankles, heels and arches. It is also important that your shoes evenly distribute your body weight across the foot in order to avoid any painful pressure points. Don’t forget those steel-toed boots as well. Plantar Fasciitis is a very painful foot condition that can cause stabbing pain throughout the entire foot, or sometimes just in the heel, and it can cause you to have difficult standing for long periods of time. By choosing the right pair of work boots, you can help eliminate the pain that you are experiencing and make it much easier to perform your daily work. You need a pair of boots that contain a high-quality interior cushion, particularly around the heel and sole, and possibly even additional padding around the arch. Another feature that is important is shock absorption, as this helps to protect the entire foot while you are standing it on all day. For more information on specializes shoes for construction workers, please don’t hesitate to e-mail or call us at River Valley Comfort Shoes. We are here to make sure that you don’t live your life out in pain due to the shoes that you are wearing, so we will do everything in our power to help find the right shoe for you.